The brand-new 2019 Chevrolet Silverado 1500 gets many high-tech towing features to improve customers’ trailering experiences. Looking for your own new 2019 Silverado? Call our Customer Care Team now at 630-898-9630 for details about how you can get the first one! Search Silverado Here. All light-duty Silverado models will have the myChevrolet mobile app trailering capability and customers can add to it the Advanced Trailering System. It also comes with a Trailering Camera Package and a trailering label that helps with calculating the combined weight of customers’ truck and trailer combinations. While the development of the all-new Silverado was in process, Chevrolet was apparently in conversation with 7,000 customers over the course of 18,000 hours. Among those surveyed, 60 percent named towing as a priority and trailering difficulties was another thing that came up. To resolve this, all four trailering levels offered on the 2019 Silverado 1500 are aimed to provide customers easier trailer hitching and improved connectivity between truck and trailer. The myChevrolet app will offer select trailering features such as pre-departure step-by-step towing checklists and a glossary of towing terms for compatible smart phones and data plans. 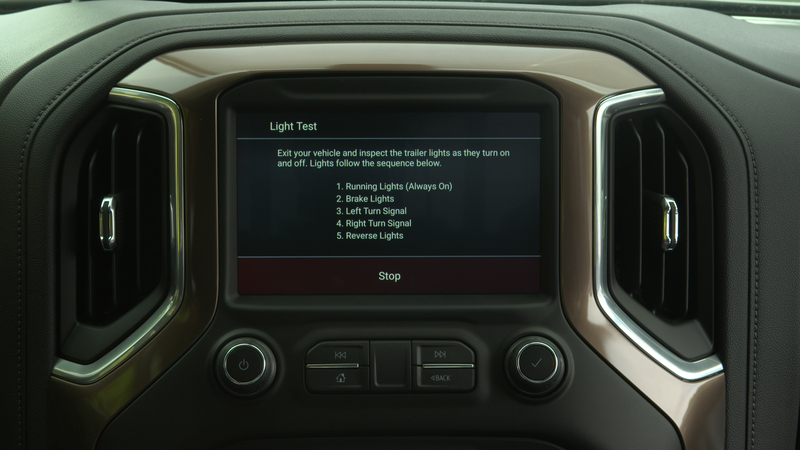 The app also allows drivers to carry out a trailer light test that uses an automatic exterior light sequence to help affirm proper connection of the trailer. The Advanced Trailering System is standard on LTZ and High Country trim levels and available on LT, RST, and Trail Boss trim levels. 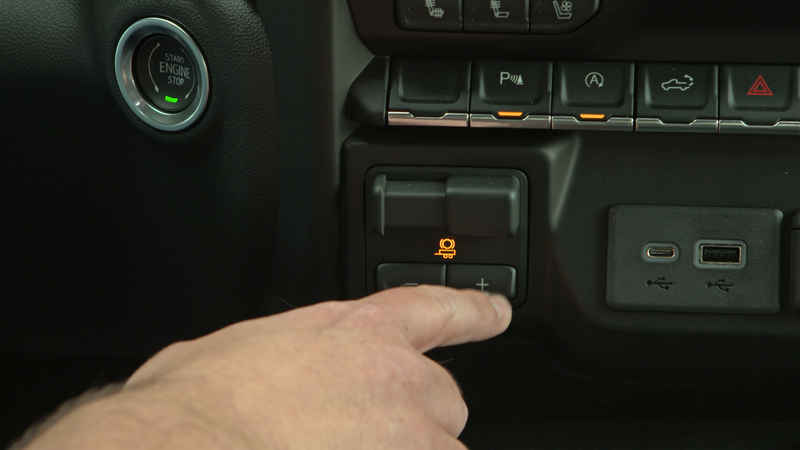 It includes an industry-first Auto Parking Brake Assist which prevents truck roll while aligning with the trailer hitch when the vehicle is put into Hitch View, and with it comes Hitch Guidance which features dynamic backing guidelines to help customers line up their hitch. Also included is a trailer tire pressure monitoring system; this, however, requires optional equipment and dealer installation. 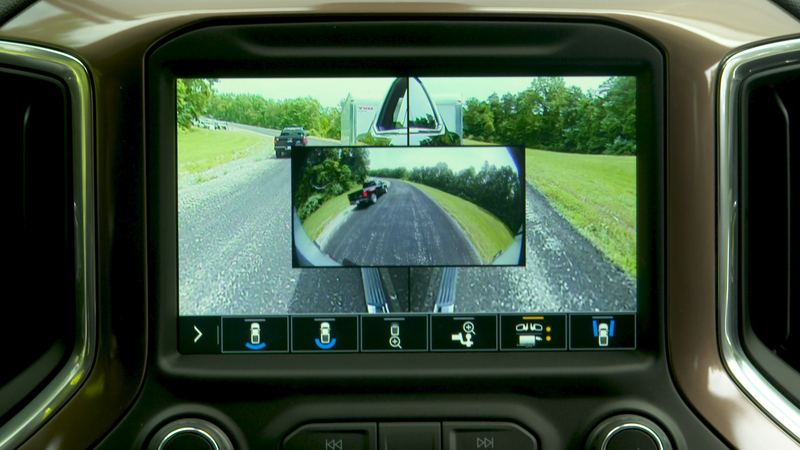 This Advanced Trailering System Infotainment app that accompanies the system allows customers to track the mileage, fuel economy, and transmission temperature of their truck while towing. Customers can create up to five profiles for different trailer types, including those for guest trailers. The brake gain memory, which works with the Integrated Trailer Brake Controller, allows customers to set and save the controller’s brake gain setting for each trailer within their profile. Another industry-first is the Trailer Theft Alert. It can activate the truck’s lights and horn if the trailer harness attached to the truck is disconnected unexpectedly. Customers who are signed up with the OnStar Safety & Security Plan will also receive a theft alert via phone, text, or email. 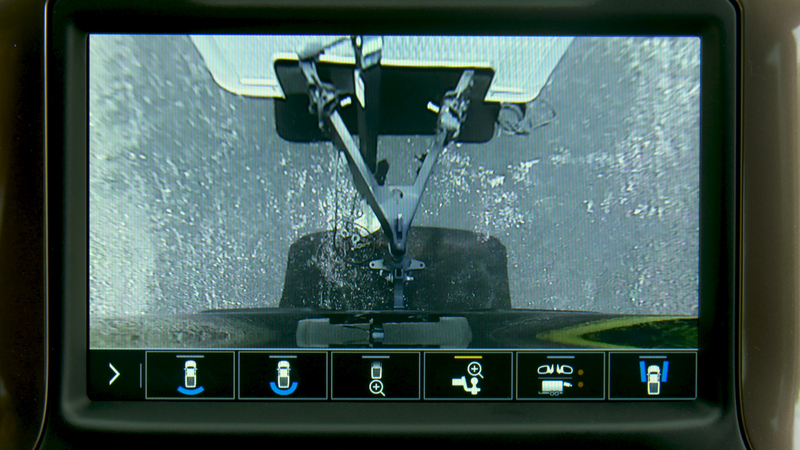 Then there is the all-new Trailer Camera Package which enhances trailering views with a 270-degree view using a standard rear vision camera and two side view cameras mounted in the side mirrors. 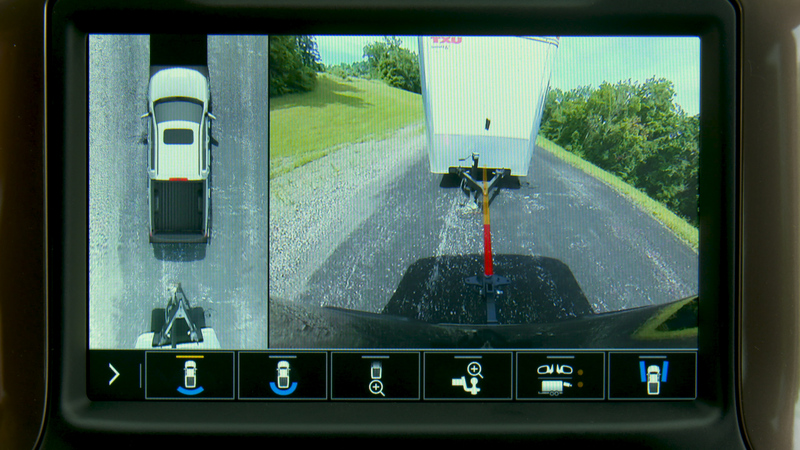 An optional fourth accessory camera that mounts to the trailer is also available. Chevrolet has created a trailering label, located on the driver’s side door jamb of all next-generation 2019 Silverado pickups. This label which is tied to VINs of individual trucks, provides information such as gross vehicle and combined weight rating, gross axle weight rating (rear), maximum payload, maximum tongue weight, and curb weight. The 2019 Chevrolet Silverado will go on sale in the fall of 2018.